"וְכָל מִצְוַת עֲשֵׂה שֶׁהַזְּמָן גְּרָמָהּ, אֲנָשִׁים חַיָּבִין וְנָשִׁים פְּטוּרוֹת. " And every positive commandment that is time-dependent, men are obligated and women are exempt. Krishm"a, Teffilin of the head, Teffilin of the hand, Tzitzis, Succah, Lulav, Shofar, Shofar in Yovel, Omer, Aliyah Laregel, Chagiga, Viduy Maaser that's about a 1/3. So, how/why would the Mishnah write such a rule that is explicitly far from the facts? 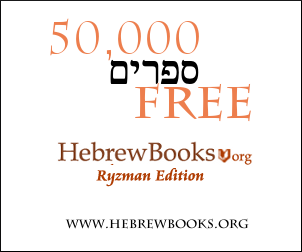 For the perplexed: Even if we take R'Yochanan's "אין למדים מן הכללות", according to Rambam's Pirush HaMishnayot (Kiddushin 1,7) he only says that this is not an exact rule, but even he holds the rule holds in general and does not fact-check it. Your list of the positive Mitzvot is formulated following Rambam's classification of the 613 Mitzvot. It is a possibility, that this Mishnah Counts the Mitzvot differently, and maybe even does not arrive at a total of 613. And now we've significantly reduced the number exceptions from 21 to 7 (groups). As noted in a comment by DonielF, the rule is formulated this way because this is the default, not necessarily because it applied to the majority of time-bound mitzvot. The whole discussion starting on Kiddushin 33b takes as a given that women are exempt from this category of mitzvot. Any exception to the rule requires a Derashah to justify it. As noted by Heshy in a comment, 12 of your 21 exceptions (resting on Shabbat and festivals, fasting on Yom Kippur, destroying chametz, and not working the land in Shemittah or Yovel) are direct parallels to negative commandments, such that it would make little or no practical difference if women were not commanded in these - they would have to do (almost?) exactly the same thing due to the negative commandments involved. As such, it makes sense that the Mishnah would not take these into account when formulating its rule. Not the answer you're looking for? Browse other questions tagged halacha-theory women time . How much time do you have to start answering “amen yehe sheme raba…”?